One of My Olive Tree’s sponsorship packages carries the name: The Miracle Special. The Miracle Special package includes the special thank you gifts of an anointed tallit and The King’s Oil anointing oil. 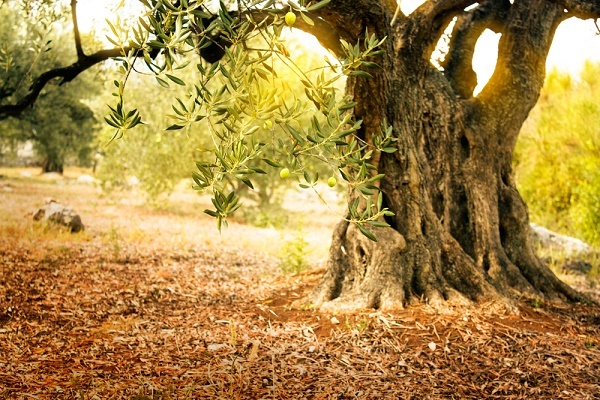 These gifts commemorate the sponsorship of an olive tree but they also serve as tools in the lives of Believers who have often sponsored a tree in Israel while they stand in anticipation of a miracle. This might seem strange to some. You are in need of healing so you plant a tree? You are in need of a financial breakthrough so you spent money on a tree in Israel? Our goal is to plant 1 million olive trees in the land of Israel. Many have joined us and are sponsoring trees on behalf of their family, friends, business or ministry. Help us reach this goal and impact the nation of Israel by sponsoring a tree in the Holy Land! I’m sure that some of our sponsors have received strange looks from friends and family members when they shared about their act of faith. But sometimes God asks us do something for someone else. He asks us to do something as an act of faith or demonstration before the miracle is manifested in our lives. “But Naaman became furious, and went away and said, ‘Indeed, I said to myself, “He will surely come out to me, and stand and call on the name of the Lord his God, and wave his hand over the place, and heal the leprosy.” Are not the Abanah and the Pharpar, the rivers of Damascus, better than all the waters of Israel? Could I not wash in them and be clean?’ So he turned and went away in a rage. “And his servants came near and spoke to him, and said, ‘My father, if the prophet had told you to do something great, would you not have done it? How much more then, when he says to you, “Wash, and be clean”?’ So he went down and dipped seven times in the Jordan, according to the saying of the man of God; and his flesh was restored like the flesh of a little child, and he was clean. Naaman received a challenge and instruction, but it wasn’t until he was humble and obedient that his healing manifested. He didn’t have to understand—he just had to follow through. Sometimes God challenges us to carry out an act of faith before our miracle is manifested. Maybe it means taking cookies to a person who has offended you; or going on the mission trip you have been hesitant to commit to; or, maybe it is as simple as giving a gift of peace, hope, love, and solidarity to the nation of Israel in the form of an olive tree. Our founder, Curt Landry, always says that if you are waiting for the next door to open, or waiting for the next step of instruction, you need to go back to the last instruction you received and make sure you followed through. Sometimes your next step is completing the last step! 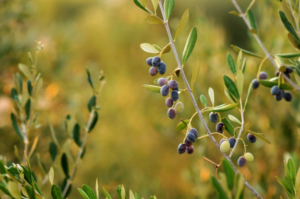 My Olive Tree has provided you with a unique way to bless the nation of Israel. Join us in our efforts and take your next step today!